I started with the special effect because this was the trickier step. I took a CR2032 battery and a red LED and creased both of its wires. Now each of them were L-shaped and I put the battery in between (be careful: the longer wire belongs to the bottom (plus) and the shorter to the top (minus) of the battery; if you do it the other way round the LED will be destroyed). I creased the top wire so that it does not automatically touch the battery. You have to press the wire down and because the wire is very strong it will always go back to its L-shape and the light will go out after pressing. 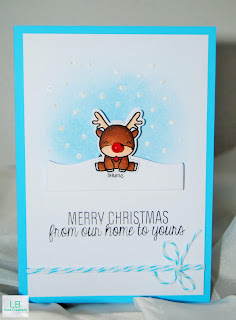 After that I stamped, colored and die cut the adorable sitting reindeer from the Mama Elephant 'Reindeer games' stamp set. I punched a whole where its nose had been and thread the wires of the LED through it. Then I adhered the battery with a very strong double sided tape to the wire (only the plus side). The top wire I adhered to the back of the reindeer. In order to hide the battery I created a littly snowy hill with the LF 'Ready, Set, Snow Shaker add on' die set. I adhered the piece of cardstock to the back of the reindeer too but I cut a little slit so that the wire can still touch the battery if you press. Ok, the rest was easy. I only added tumbled glass distress ink to a white cardstock and adhered the whole Rudolph-sitting-in-the-snow-with a huge LED instead of his nose- piece with doubled foam tape to the background. I stamped the sentiment from the 'Cozy Christmas' stamp set from Mama Elephant and added snow with a snow pen and a light blue doodlebug twine. Last but not least I adhered the whole piece to a light blue cardbase. I hope, that the description was not too confusing but actually it is more difficult to explain than to make :) If you have any questions, go ahead and leave a comment. Thank you for stopping by! Have a nice weekend and I'll see you soon. Hello and happy Saturday! 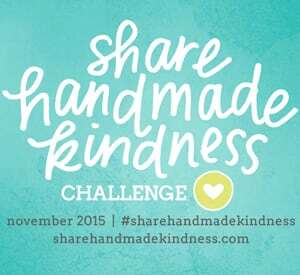 Again I am participating in the #sharehandmadekindness challenge from Jennifer McGuire. 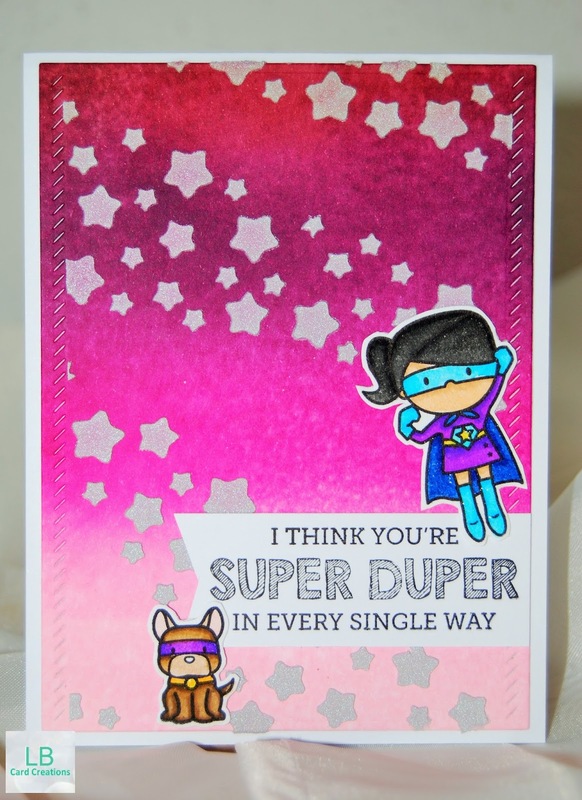 Therefore, I designed cards for kids which I will send to Jennifer in order to take part in the card shower for two awesome and brave children and their siblings. I thought that the 'tiny heroes' stamp set from Mama Elephant is perfect for this occasion because cancer-fighting kids are real heroes in my point of view! I started out by creating an ombre looking background with distress inks which I sprizzed with water after applying the colors. Then I used the smaller rectangle die from the Mama Elephant die set 'sew fancy' for the background. I masked off the little stripes at the edges because I didn't want any paste on them. Next I mixed my ranger texture paste with silver acrylic paint and applied it with a star stencil and palette knife to the background. While letting that dry I stamped the heroes with archival jet black ink and colored them in with my Zig clean color real brush markers. 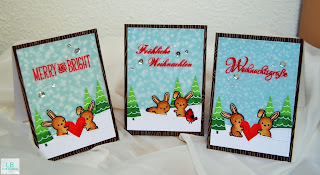 I also created little banners for the greeting from the same stamp set. For assembling the card I clued the background with very strong adhesive to a white cardbase (3.7x4.9 inch; 9,5 x 12,5 cm) and adhered the little images as well as the banner to my card. Last but not least I added Wink of Stella to the outfits of the little heroes. 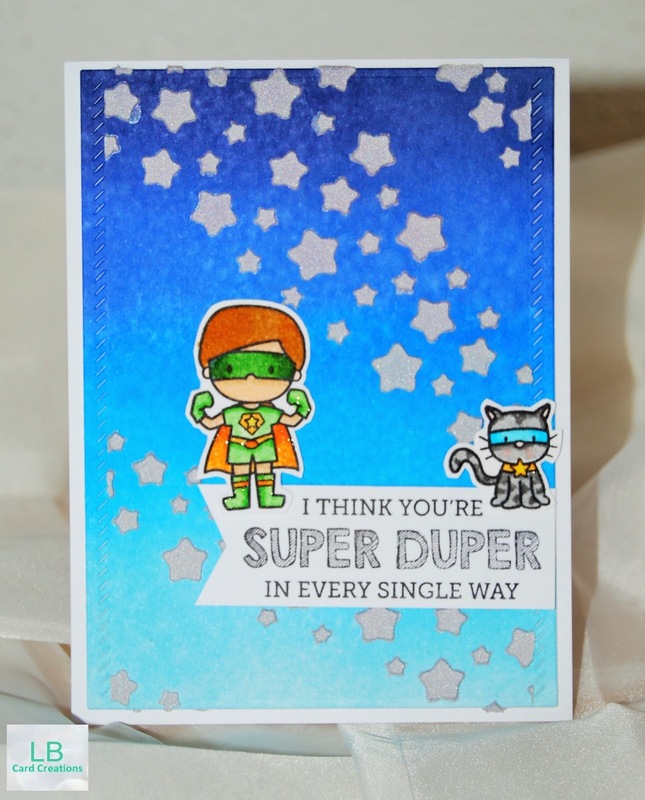 Because the two kids for which I created these cards have one sibling each I also created cards for them because they must definitely be very brave too! 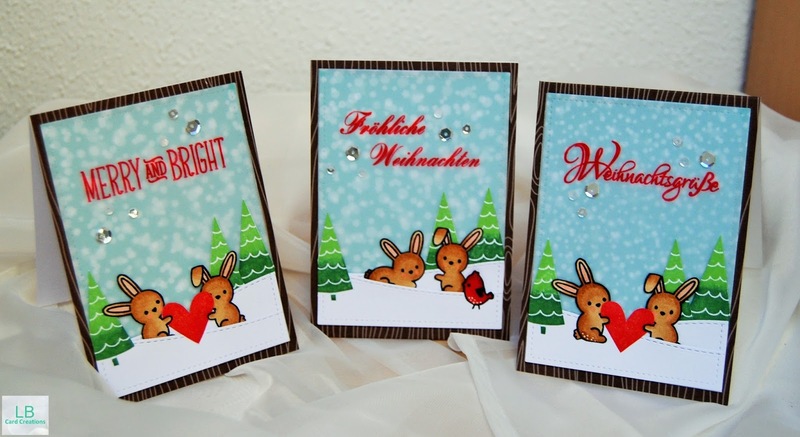 I hope the kids will receive many cards and have happy moments reading them! I think this is such a great idea. 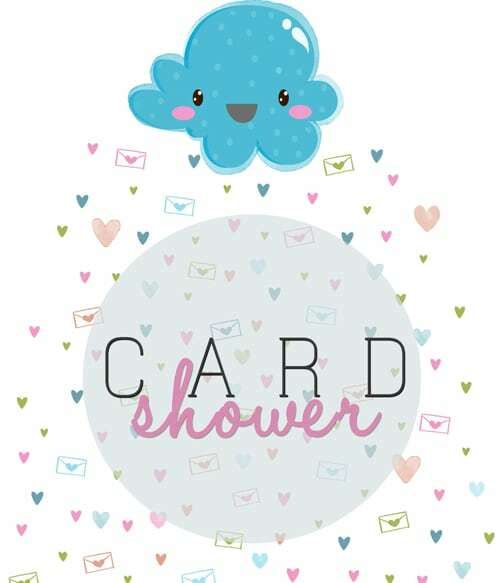 Perhaps one day I can organize such a card shower in my country too!! Thank you for stopping by! Have a nice weekend and I'll see you soon!